Supplement your Seville Classics steel wire shelving with our fitted polypropylene shelf liners. Includes two liners in translucent smoke gray—enough to fit two shelves. 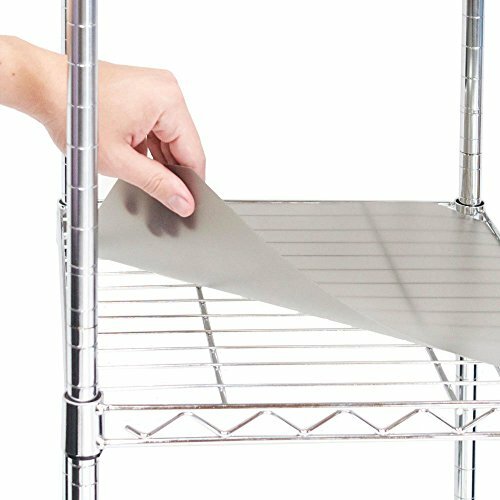 These liners are designed to give your wire shelves a flat platform, making it easier to store small items and items with uneven bases. Our liners flexible, durable, and waterproof. All liners are trimmed to 13.3" x 29.5" to fit Seville Classics 14" x 30" steel wire shelves. Designed to be compatible with NSF certified Seville Classics steel wire shelving. Enhance your home storage, pantry, garage, stockroom, or warehouse with Seville Classics commercial-grade protection.